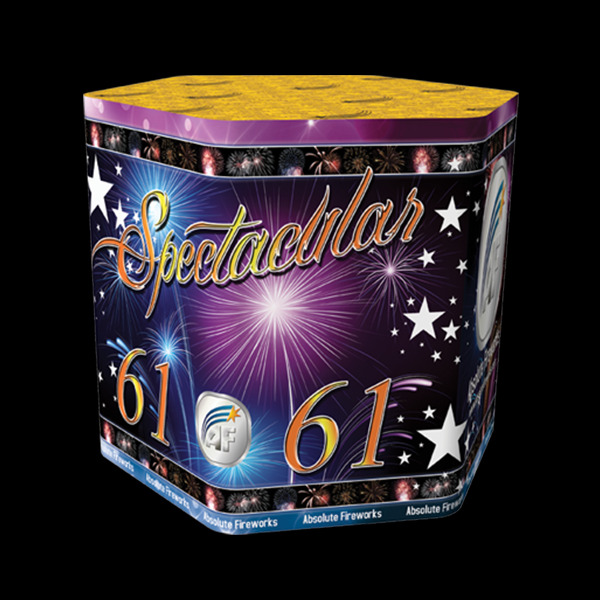 One of our range of display quality fireworks, with 61 shots, massive 30mm bore size and ef­fects such as Red Crackling Flowers, Green Crackling Flowers, Purple Peony’s, Green Peony’s, Blue Peony’s, Red Wave, Green Wave, Red Stars with White Glitter and Crackling Tails with large Crackling Breaks. 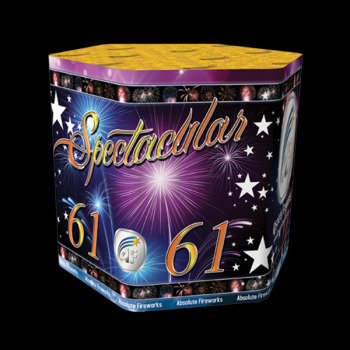 Great cake, great effects, great value for money. 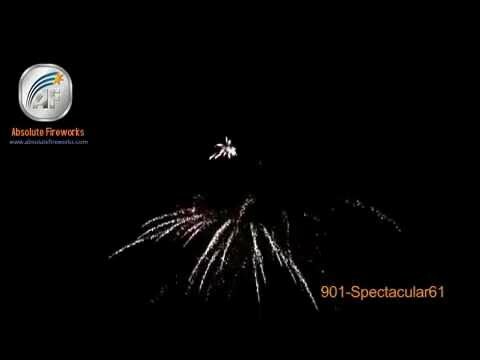 A stunning firework with very impressive effects and perfect timing, superb.